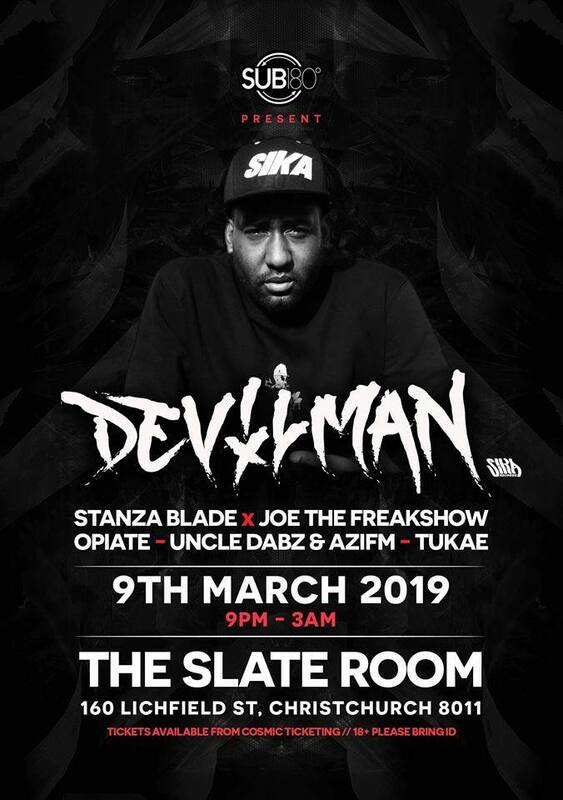 FOR THE FIRST TIME IN NZ, Devilman will be touching down in Christchurch for his last stop on his NZ tour. At the home base The Slate Room with production to melt your marbles this is not to be missed. This will SELLOUT be sure to secure a ticket!! !